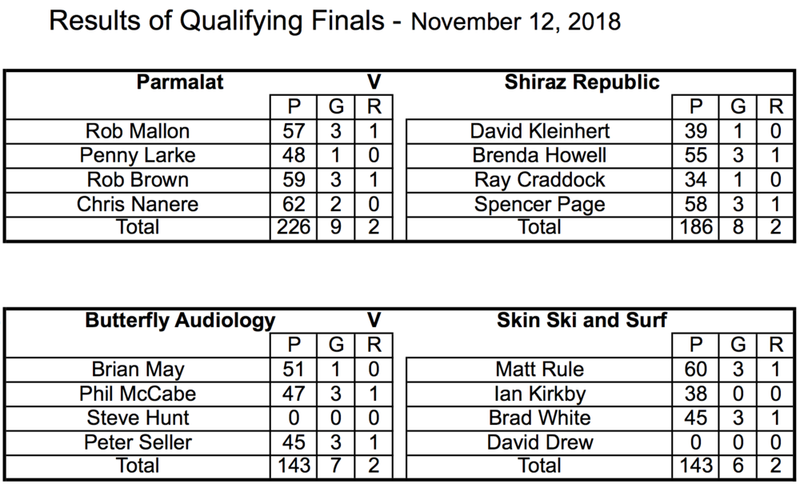 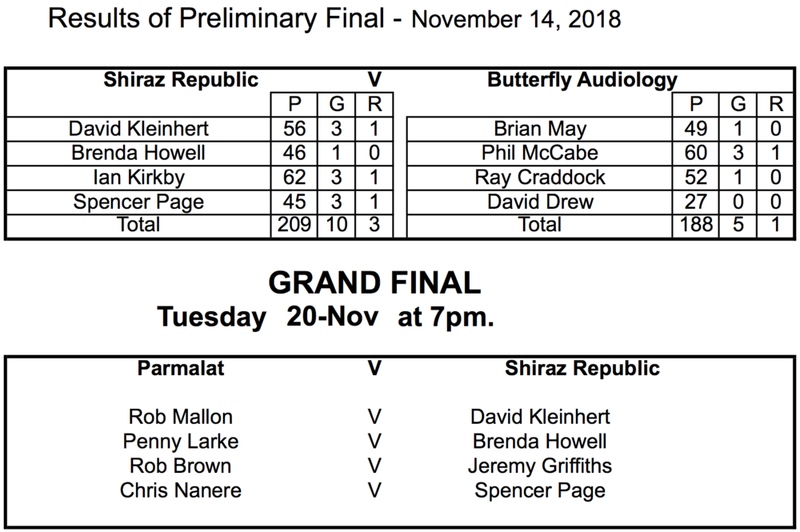 Congratulations to the teams that have made it into the finals for Spring Pennant 2018. 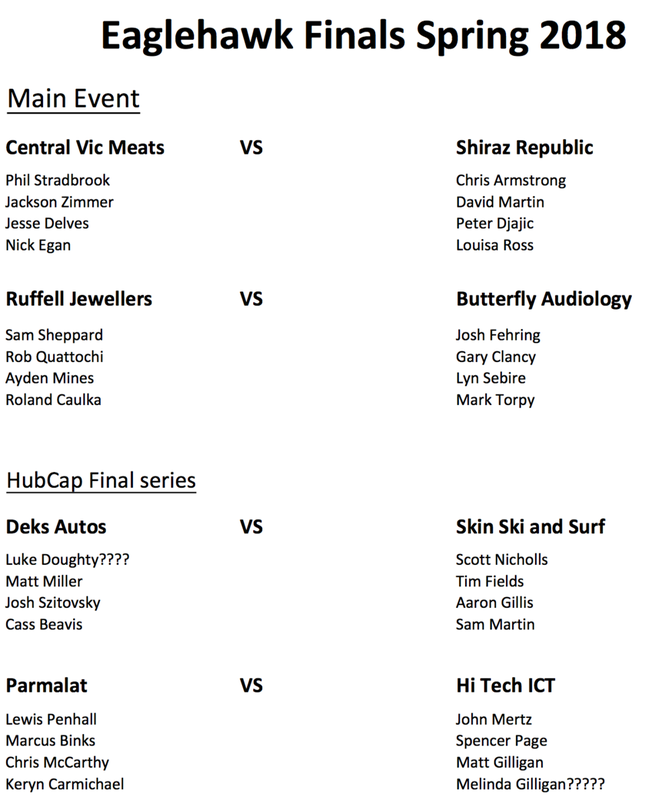 It's been a great pennant and the feedback we have had so far has been amazing. 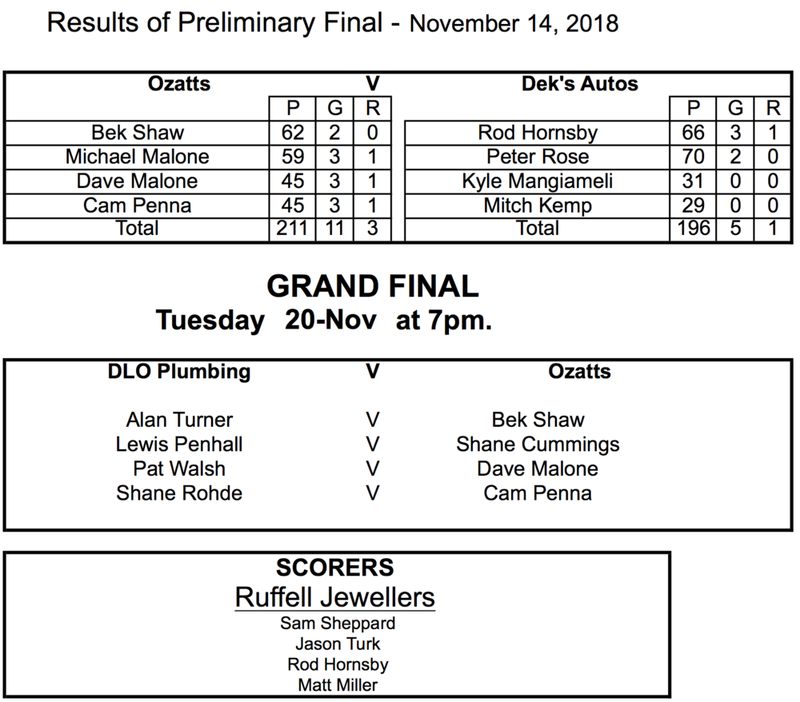 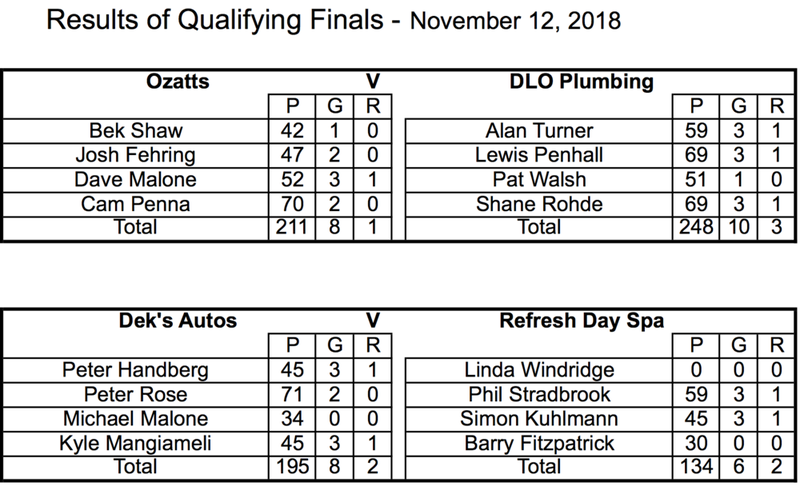 Below are Monday nights Semi Finals Results, Wednesday Prelim Results, Tuesday night Grand Final Fixtures & Eaglehawk Fixture.